Here’s our first trailer for Zack Snyder’s Justice League! By all the New Gods and the Old, that is a fantastic trailer! The thing I’m most pleased to see is that it’s still so clearly a Zack Snyder movie, and that all mind-numbing, click-bait driven criticisms of BvS and the DCEU did not affect the filmmaker-driven style of the film. It manages to convey a lighter tone promised to us even before BvS‘s release not by simply bright colors and quips, but through a sense of optimism and pure glee of seeing these heroes brought together (that Beatles cover goes a long way too.) There’s a clear sense of texture of the film, which is so greatly appreciated when so many blockbusters feel like they’re just trying for a house-style. Also, the marketing department made a fantastic decision not to reveal Superman or the film’s central villian Steppenwolf, while giving us enough new character intros (Mera! ), and action shots for us to bask in over the coming months. DC Comics were the first comics I read, and I, like so many others, have waited years to see the Justice League come together. This is an emotional, wonderful experience, that points towards what will be the superhero event of the year. 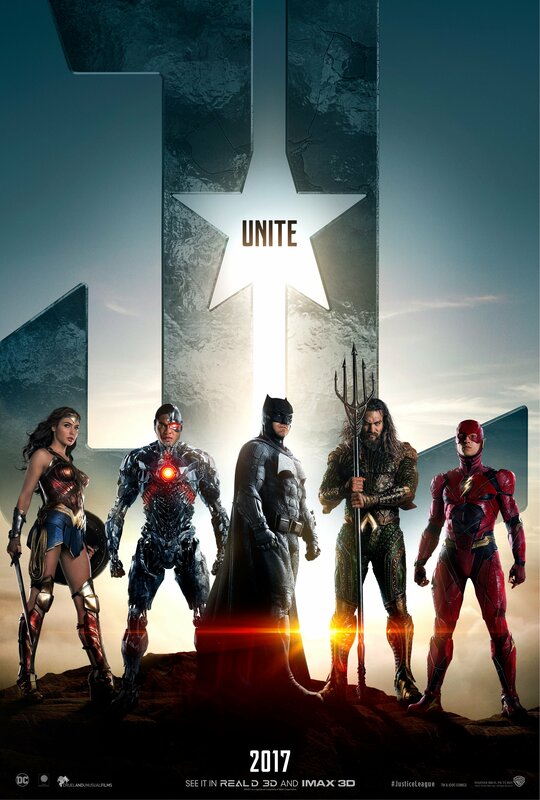 Justice League unites on November 17th, 2017.